In the phase III ADMIRE study, Crohn’s disease patients with complex perianal fistulas (CPAF) were randomised to receive either darvadstrocel or placebo in addition to standard of care. Reference: Panés J et al. 2019. Darvadstrocel treatment outcomes in Crohn’s disease patients with complex perianal fistulas: the role of TNFi co-treatment in ADMIRE CD. Poster presentation at: ECCO 2019 Congress; 6–9 March; Copenhagen, Denmark. 300 mg vedolizumab every 4 weeks for a planned treatment duration of 9 years. Reference: Vermeire S et al. 2019. 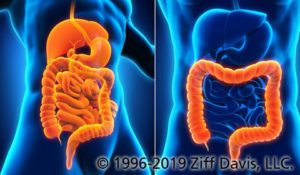 Long-term safety of vedolizumab in ulcerative colitis and Crohn’s disease: final results from the GEMINI LTS study. Oral presentation at: ECCO 2019 Congress; 6–9 March; Copenhagen, Denmark. This multicentre, retrospective study aimed to determine the efficacy and safety of tofacitinib, a Janus kinase (JAK) inhibitor, in refractory patients with moderate or severe ulcerative colitis (UC) in the real-world setting. Reference: Lair-Mehiri L et al. 2019. 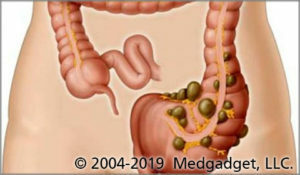 Real-world tofacitinib effectiveness and safety in patients with refractory ulcerative colitis. Poster presentation at: ECCO 2019 Congress; 6–9 March; Copenhagen, Denmark. 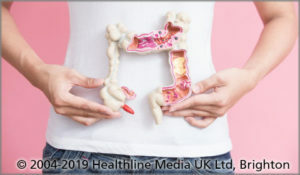 In the phase IIIb VARSITY trial, a total of 769 pre-treated patients with moderately to severely active ulcerative colitis (UC) were randomised 1:1 to receive either vedolizumab (n=383) or adalimumab (n=386). Reference: Schreiber S et al. 2019. VARSITY: A double-blind, double-dummy, randomised, controlled trial of vedolizumab versus adalimumab in patients with active ulcerative colitis. Oral presentation at: ECCO 2019 Congress; 6–9 March; Copenhagen, Denmark. In this phase IIa trial, 118 patients with mild or moderate ulcerative colitis (UC) were randomised 1:1 to 75 mg of ST-0529, a controlled-release formulation of cyclosporine A, or placebo once daily for 4 weeks. Reference: Bloom S et al. 2019. A randomised, multi-centre, double-blind, placebo-controlled study of a targeted release oral cyclosporine formulation in the treatment of mild-to-moderate ulcerative colitis: efficacy results. Oral presentation at: ECCO 2019 Congress; 6–9 March; Copenhagen, Denmark. 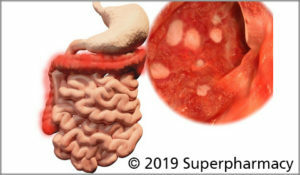 Changes in the composition of gut microbiota are well-known features of patients with inflammatory bowel disease (IBD). Importantly, these might also affect the psychological well-being of these patients. Reference: Humbel F et al. 2019. 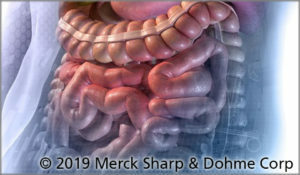 Gut–brain axis revisited: Shedding light on the mucosa-associated microbial composition in IBD patients with psychological distress, anxiety, and depression. Oral presentation at: ECCO 2019 Congress; 6–9 March; Copenhagen, Denmark. This is a first-in-disease phase IIa trial to determine the clinical activity of ABX464 in patients with moderate to severe ulcerative colitis (UC) intolerant and/or refractory to existing treatments. Reference: Vermeire S et al. 2019. ABX464 is safe and efficacious in a proof-of-concept study in ulcerative colitis patients. Oral presentation at: ECCO 2019 Congress; 6–9 March; Copenhagen, Denmark. In the phase III UNIFI trial, a total of 523 patients who failed standard or biologic therapy and were in clinical response 8 weeks after receiving a single dose of ustekinumab were randomised 1:1:1 to receive either 90 mg ustekinumab once every 8 weeks (n=176); 90 mg ustekinumab once every 12 weeks (n=172); or placebo (n=175). Reference: Sandborn WJ et al. 2019. Efficacy and safety of ustekinumab as maintenance therapy in ulcerative colitis: week 44 results from UNIFI. Oral presentation at: ECCO 2019 Congress; 6–9 March; Copenhagen, Denmark. 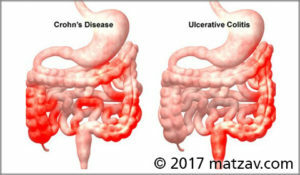 In this real-world study, ulcerative colitis (UC) patients treated with golimumab from 2014 to 2018 (n=90) were compared with the rest of the UC patients (n=1446) from the Swiss IBD cohort study (SIBDC). A significantly higher proportion of patients in the golimumab group had more active disease with an average modified Truelove and Witts activity index (MTWAI) of 8 (interquartile range [IQR]: 4–10) vs 4 (IQR: 2–8; p<0.001). Reference: Perrig K et al. 2019. Real-world data regarding treatment of ulcerative colitis patients with golimumab in Switzerland. Poster presentation at: ECCO 2019 Congress; 6–9 March; Copenhagen, Denmark. This is the firstrandomised controlled trial to investigate whether proactive therapeutic drug monitoring is associated with improved rates of clinical remission compared with reactive monitoring in paediatric patients with Crohn’s disease. Reference: Assa A et al. 2019. 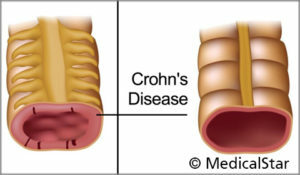 Proactive adalimumab trough measurements increase corticosteroid-free clinical remission in paediatric patients with Crohn’s disease: the paediatric Crohn’s disease adalimumab-level-based optimisation treatment (PAILOT) trial. Oral presentation at: ECCO 2019 Congress; 6–9 March; Copenhagen, Denmark.